Shopify is one of the most successful companies to enhance the ecommerce ecosystem forever. It has some of the most robust tools and practices that allow anyone to start an ecommerce store and get selling. With it’s wide array of tutorials, support and inspirational information, it makes for an easier transition to Shopify if using any other platform. Shopify users have been clocking in hundreds of thousands of dollars from their ecommerce stores, and their stories are highly inspirational. With over 500,000 merchants using the website over 180 different countries, it’s one of the most popular platforms to host your ecommerce store. Here’s a great guide to help you decide whether Shopify is right for you! 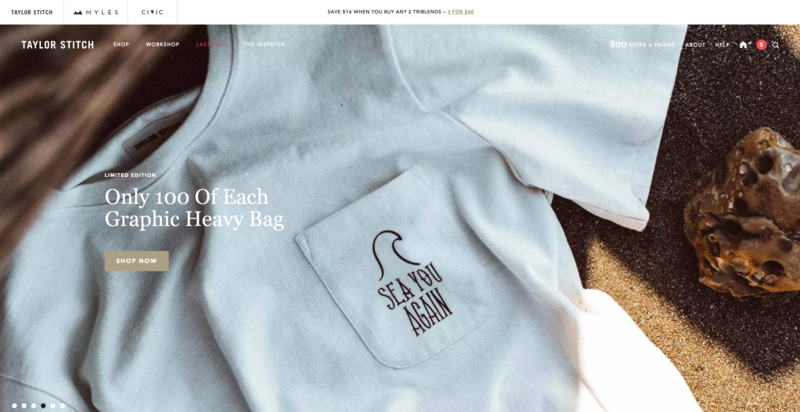 Taylor Stitch is an interesting Shopify store that started out with a simple offering to consumers. A passion for quality fabric and construction, lead three founder Mike, Mike and Barrett to start a fashion apparel company. Their challenge was differentiation in a crowded marketplace. There were many apparel brands in the eco-system and standing out was becoming a challenge. They started with figuring out why Taylor Stitch was unique and needed attention from its consumer base. The founders wanted the brand to have a feeling of “an intersection of the city meeting the mountains and the ocean”. They wanted to design clothes that can be worn throughout the day as a fashionable and functional choice of attire. They wanted to make sure that they developed shirts that fit well. That was most important to the three founders. To boost marketing and sales, director of marketing Mike Grasewicz, wanted to do things differently. For every communications message he sent out, he made sure that the audience was segmented effectively. This meant that Mike had to design dozens of segments every week to be able to boost conversion rates on the store. Eventually, they’ve upgraded their Shopify stores and are reaching revenues of approximately $10-$25 Million a year. Another triple-founder team, Jennifer, Jeff and Teresa started PipCorn to offer better quality popcorn to customers around the US. 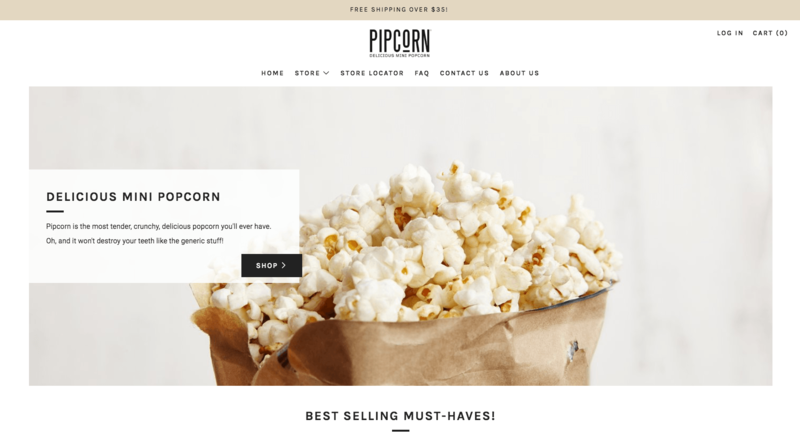 They wanted to offer gourmet and healthy popcorn options through their online store built on Shopify. They went all out with bold new flavors, smaller sizes, and a healthier snack for US consumers. They applied to Shark Tank and got $200,000 in funding from one of the sharks. Not only that, they made $200,000 in one single day, more than they had ever made before. That was the impact of a shark tank appearance. They then innovated on different flavors, delivery methods and packaging to ultimately create a stand-alone brand that was scalable across the country. They were able to do all that because of a Shopify website that they started from NY. Happiness Abscissa or Ha (for short) is an innovative fragrance brand that got it’s start on Shopify. It was one of the few perfume makers out there, that was designed by a neurologist and a psychiatrist to combine scent and memory. They wanted to make their perfumes memorable. For the founders, it was all about the design and the experience. Since the brand was using top-of-the-line ingredients to create high-quality products, they wanted to build a lifestyle brand that reflected that. They also focused on crafting elegant stories around their product line, giving their range a new meaning. 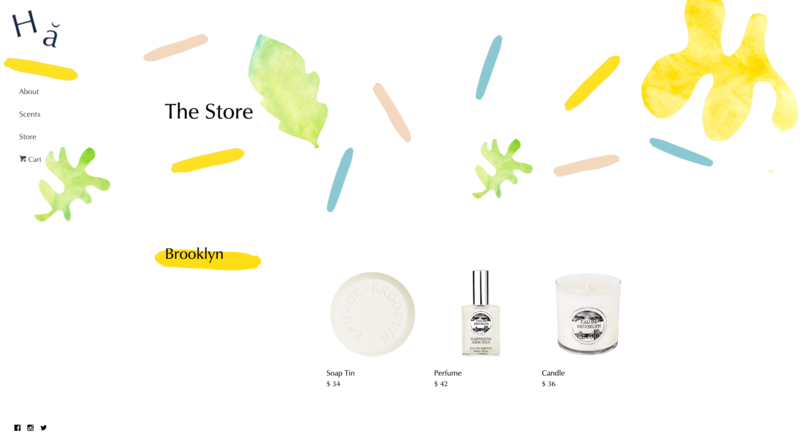 They wanted to work with the design tools that Shopify offered, and uploaded custom assets to create a unique website. Ha also designed its website to be as minimalistic as possible, so that it could load up faster than other brands. 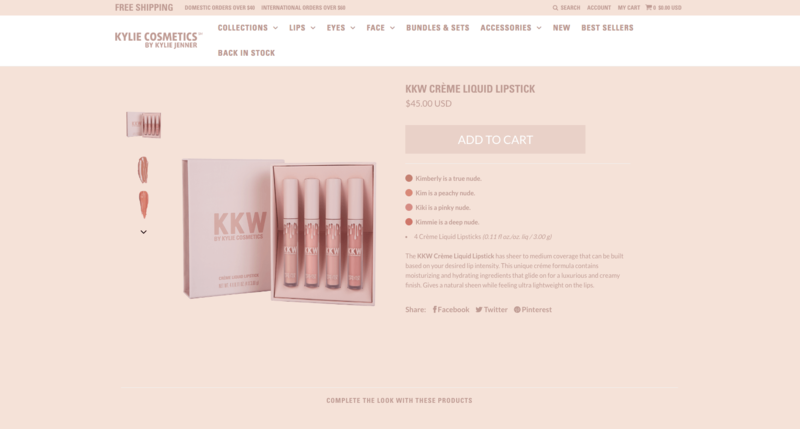 Popular celebrity Kylie Kardashian reached out to Shopify to work out a great looking website that could handle the incoming scale of orders. For Kylie, it was important that the website reflected her brand perfectly and could handle a large number of consumers simultaneously. Apart from that, the website needed to have international shipping and handle customer grievances if any. Shopify was able to develop a beautiful website for her, which helped her sell-out her complete merchandise within minutes of launching. It was one of the most successful Shopify stores ever created and helped propel her brand further. Kylie later launched a pop-up store and attracted more than 25,000 young girls to check out her line of makeup and lipsticks. Kylie, at only 19 years of age, became one of the biggest entrepreneurial icons of her generation. With the help of Shopify, Kylie was able to make her vision come to fruition. She worked with the best and sold out in less than a minute. 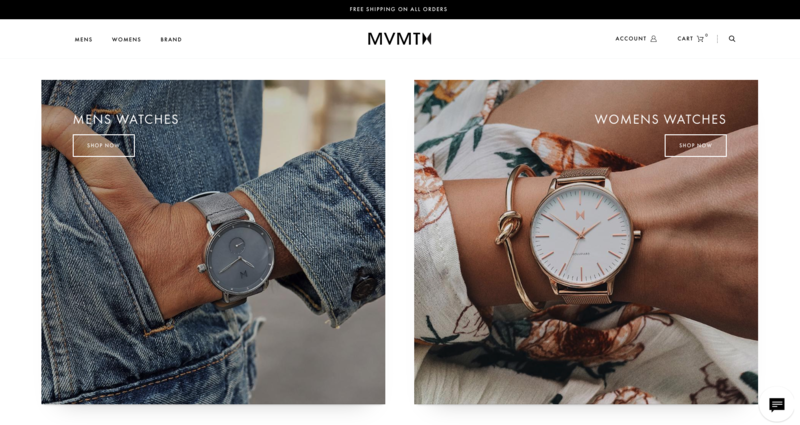 MVMT watches are a wonderfully inspirational brand that grew online over time. They launched a line of watches that looked stylish and were more affordable than competitive brands. For the price-point they were offering, they needed to focus on lowering their cost of acquisition. That’s where online advertising and Shopify’s scale came in. They first launched on Indiegogo and raised $200K to start their journey. Founders Jake Kassan and Kramer LaPlante decided to place their trust in Shopify and haven’t regretted it ever since. They’re all set to clock in over $100 Million in sales this year, making them one of the top selling Shopify stores out there. From the get-go, Jake and Kramer wanted to be international. They made it easier to integrate international payments options and provided free global shipping. Since the order size was larger than typical ones, they were able to retain customers through their shipping and local-payments options solutions. In fact, almost 50% of their sales are international. Earlier on, they compared two quotes they received for building their website. They got a quote of $20,000 for building a website. They then checked out Shopify Plus and realized that they could get it done for under $2000. It’s been smooth sailing ever since and they’ve developed their website over years of perfection. 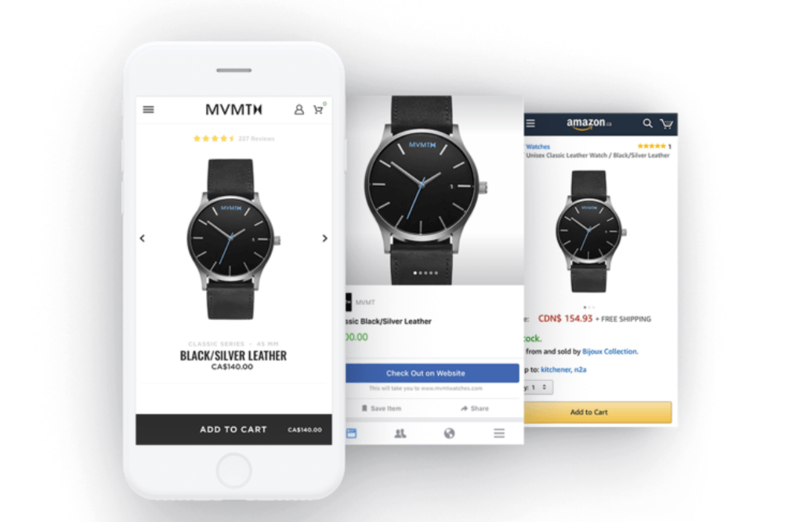 From the moment they switched to Shopify, they doubled mobile conversion rates and generated $150,000 through social selling. One of the biggest concerns for ecommerce store managers is keeping growth sustainable through years of development. That hasn’t been a problem for Bombas, which uses Shopify to save costs and grow steadily. Bombas is a premium sock manufacturer that focuses on quality, affordability and accessibility. 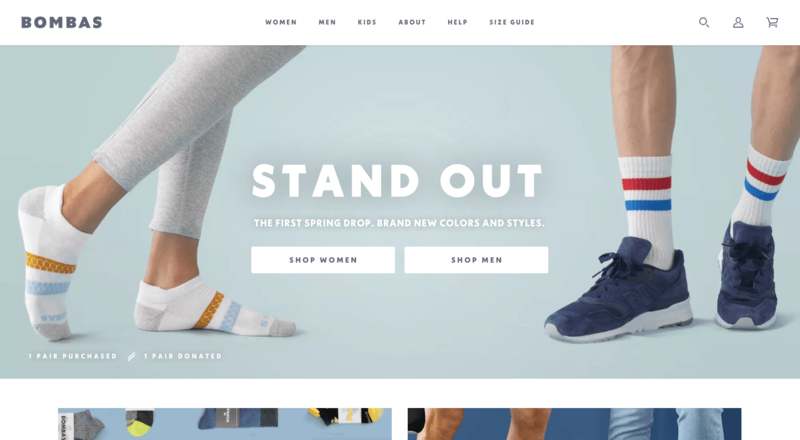 While Bombas was growing in popularity the website crashed twice, leaving millions of dollars of revenue lost in the fray. They were able to migrate to Shopify and build a beautiful website that serves more than 4000 customers daily. They ran a few campaigns that proved to be successful beyond measure. One of them focused on donating one pair of socks for every pair sold. This campaign was so successful that they ended up donating 5 million pairs of socks. They’ve been growing at 300% year over year ever since they migrated to Shopify. They’re one of the most successful companies on the platform. Gymshark is the brainchild of entrepreneur Ben Francis who wanted to create a lifestyle brand that scaled across the world. He created Gymshark and helped fitness-enthusiasts wear comfortable fitness wear that could also be stylish and figure accentuating at the same time. No longer did gym enthusiasts have to wear tank tops or sleeveless T-shirts. Through Shopify, Ben was able to build a successful brand that scaled across the world. They have 5 million social media followers across 130+ countries and have generated £41 million in sales as of last year. For Gymshark, the idea was to have stability, and Shopify offered that to them. It’s a great learning lesson for all entrepreneurs who want to ship globally. Also, by offering a unique experience to their top selling international zones, they are able to customize the experience further. Gymshark also offers local payment offers and has partnered with multiple companies to ensure that the shipping and payments process is as streamlined as possible. Check out our guide on international ecommerce strategies that can work for your Shopify store! Gymshark also works with international influencers that have international audiences. These influencers are a great promotional tool for when Gymshark wants to explore these locations. Shopify is one of the most important and influential ecommerce platforms that powers much of the world’s online shopping. Whether it’s B2B or B2C operations, Shopify stores have repeatedly outperformed other ones over the last several years. 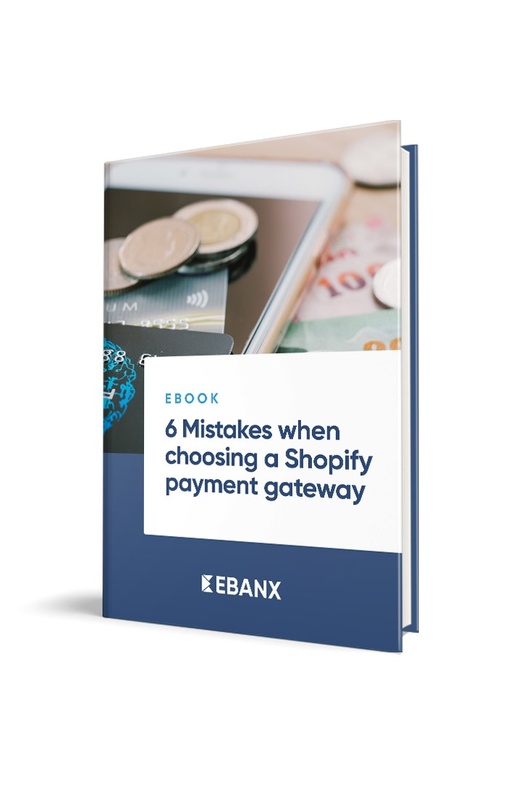 From international shipping to providing multiple payment options, Shopify’s range of plugins and partners have made the platform successful beyond its expectations. Shop owners can start from scratch without needing any knowledge of coding or technology. They can truly revolutionize the way they run their store through the full-scale of Shopify’s integrations.